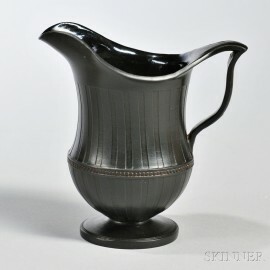 Wedgwood & Bentley Black Basalt Cream Jug, England, c. 1775, helmet shape and with a wishbone handle, vertical engine-turned bands flanking a central dotted band to the waist, impressed mark, ht. 4 5/8 in. 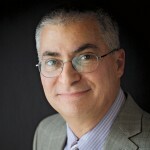 Provenance: Ex collection Dr. Alvin M. Kanter. Slight nicks along the edge of the handle and foot. Slight flake to foot.